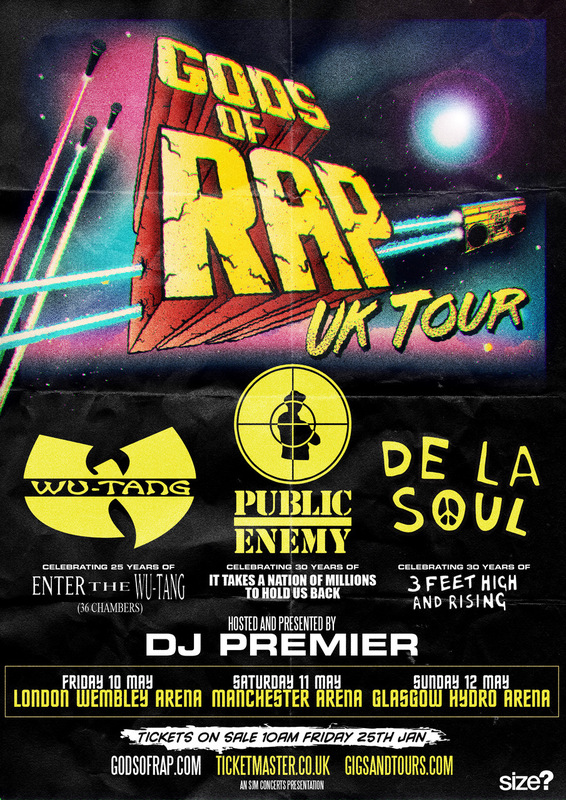 GODS OF RAP UK TOUR MAY 2019: CELEBRATING SOME OF THE GREATEST ALBUMS IN RAP MUSIC. Headlined by WU-TANG CLAN – celebrating 25 years of Enter The Wu-Tang 36 Chambers, plus PUBLIC ENEMY – celebrating 30 years of It Takes a Nation of Millions to Hold Us Back and DE LA SOUL – celebrating 30 years of 3 Feet High and Rising. Hosted and presented by DJ PREMIER. This once in a lifetime tour marks the anniversary of three iconic landmark albums: Wu-Tang Clan’s Enter The Wu-Tang 36 Chambers, Public Enemy’s It Takes a Nation of Millions to Hold Us Back and De La Soul’s 3 Feet High and Rising. The dates will also be hosted and presented by the legendary DJ Premier. Twenty-five years ago, The Wu-Tang Clan changed hip-hop music forever. 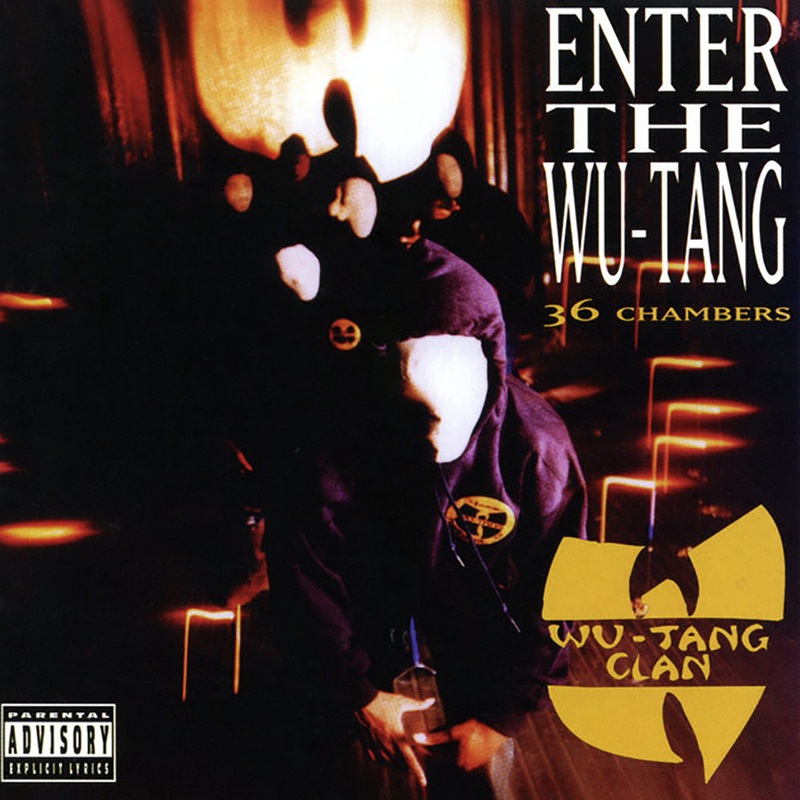 Bursting onto the music scene with the release of Enter the Wu-Tang 36 Chambers, the group quickly became recognised for its innovative beats and clever lyrics, as well as the diverse personalities and talents that make up its nine-member hip-hop group. The Wu-Tang Clan has released seven gold and platinum studio albums with worldwide sales of more than 40 million albums. With the release of their debut album in 1993 songs like C.R.E.A.M and Protect Ya Neck introduced hip-hop pioneer, The RZA, as a ground-breaking hip-hop craftsman. Public Enemy rewrote the rules of hip-hop, becoming the most influential and controversial rap group of the late ’80s, and for many, the definitive rap group of all time. 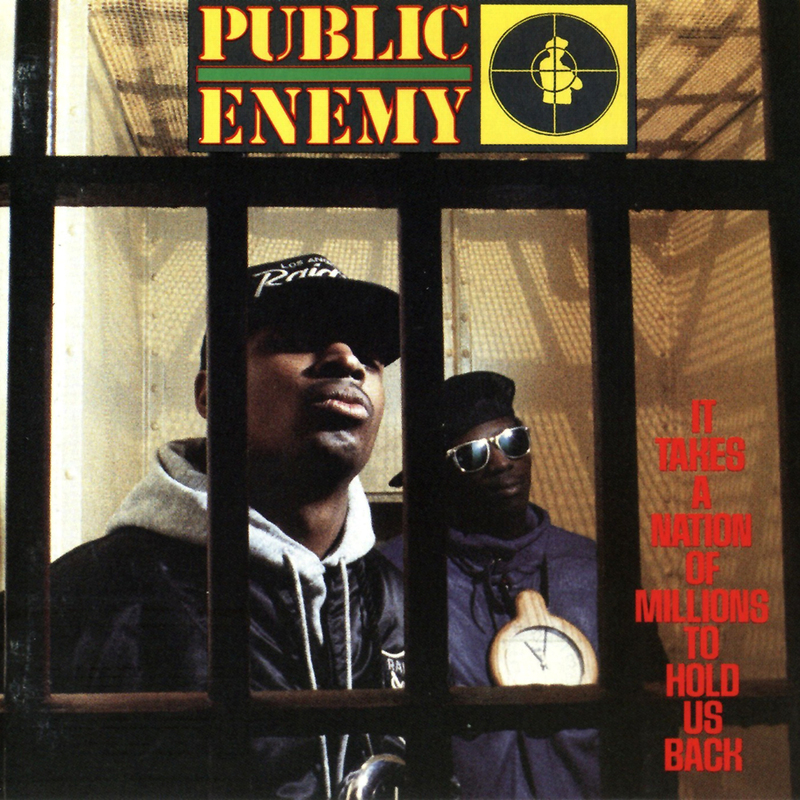 Celebrating thirty years of their seminal album It Takes a Nation of Millions to Hold Us Back, it was this record that made Public Enemy a household name. The album, which included the singles Don’t Believe the Hype and Bring the Noise,was hailed as a hip-hop masterpiece and went on to sell more than a million copies. 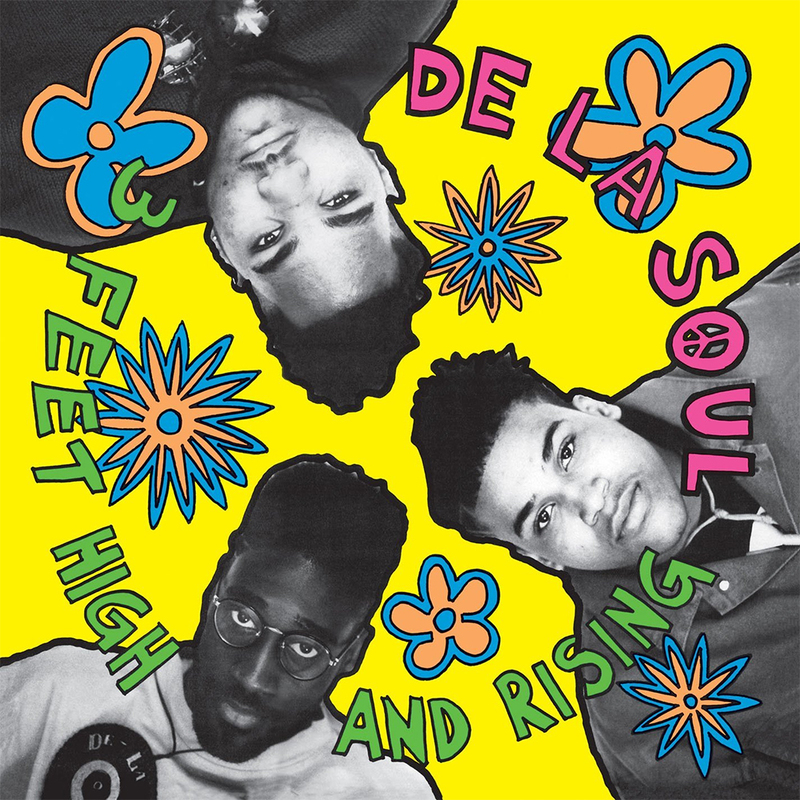 De La Soul’s acclaimed eponymous debut album catapulted the trio to becoming one of the biggest hip-hop bands and forged a lasting musical legacy. Consistently placed on ‘greatest albums’ lists, their biggest commercial album to date 3 Feet High and Rising includes the singles Me Myself and I, The Magic Number, Buddy, and Eye Know. Collectively all three groups have performed sell-out shows across the globe and created revolutionary music that has influenced millions of people worldwide. The tour will see the ‘Gods of Rap’ each perform iconic sets for three monumental UK live dates that are not to be missed!